Dr. Kennedy has developed, tested and taught an effective, easy to learn decompression therapy technique. His protocols have been taught to over 4,500 chiropractors and physical therapists. In over 20 years of practice,he has owned and operated most of the decompression therapy equipment offered by a range of manufacturers. This has afforded him the position of having done 100's of cross-comparison treatments with these units. He believes that it is imperative to "put the doctor into decompression therapy." This is the major reason for offering this technique certification course...to focus on skills, information, and awareness. The Seminars have been approved for continuing education through Logan College of Chiropractic in various states. The KDT Table System is an affordable Decompression System capable of creating the necessary positions as described in the Kennedy Decompression Technique. The upper caudal section features a pivot point in the lumbar spine allowing mechanical centralization of the disc to occur. The KDT table can take advantage of extension postures which aid typically migrating posterior discs centralize with respect to their gravitation bias. The mid surface aids in stabilizing the pelvis creating enhanced patient comfort and extension/hyper-extension. The adjustable arm rests create comfortable prone postures and eliminate the need for a wing-vest via tricep buttressing. Supine treatment features a patent pending Bolster-less leg elevation system that creates concomitant Pelvic Tilt which pre-tensions posterior elements. The patent pending P.T.R.O.S. system (Passive Tensioning Reactive Orthopedic Spring) controls X-Axis Table motion. Now you can enhance the feeling of decompression without the danger of increased force. Upper section pivots at L-5 for true upper body Semi-Fowler Positioning (supine) which allows deep flexion to create the mechanical positioning necessary to help centralize "atypically migrating" posterior discs. 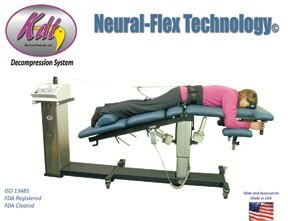 The KDT Table System provides improved comfort while applying Decompression to the Cervical Spine. The patent pending mid-section elevation allows full support to the lumbar spine while lowering Thoracic kyphosis. This biomechanically correct position enables a full range of cervical angulation. Patients with a defined directional preference can be positioned to allow cervical discs to migrate centrally without an increase in muscular tension. The KDT System is only $8,995. Receive a full color brochure by downloading online or by calling the toll free number. Mir-Com Products, LLC, makers of the Kennedy Decompression System, have announced the release of the KDT Neural-Flex® Technology Decompression System. The revolution in affordable decompression continues from the folks who brought you the KDT Decompression System. The KDT Neural-Flex System incorporates all of the popular design features and accessories of the original KDT System (still available for only $8,995), but adds additional features that enable more effective treatments for conditions like stenosis, encroachment syndromes, thoracic compression syndromes, and antalgia. 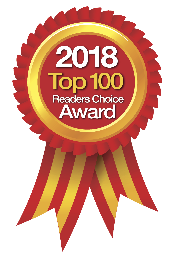 These new features include: Neural-Flex Flexion Decompression Technology, Powered Flexion Mobilization/Distraction, Gravity Assisted Supine positioning, and Antalgic Positioning. McKenzie practitioners will appreciate the Powered Hyper-flexion capability as well. Neural-Flex whole body inversion with vibration is available as the latest treatment for thoracic compression syndromes. This fully powered Neural-Flex Technology is ideal as a second table option for existing KDT customers who need the added capability or as a comprehensive first purchase for new decompression practitioners. Of course, the enhanced features have enabled easier use of the advanced tenents of the Kennedy Decompression Technique (www.kennedytechnique.com) which is still important for any decompression practitioner regardless of the table you may have. 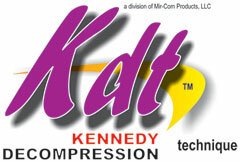 To learn more about the new KDT Neural-Flex Technology or the original KDT System, download the full color brochure in PDF format at www.learndecompression.com or call Mir-Com Products, LLC.